Doctors of BC recognizes that family physicians are just one of many resources available to youth who have mental health concerns. There are a range of other healthcare providers who are trained to assist youth with mental health problems, including counsellors, psychologists, nurse practitioners, mental health nurses, and psychiatrists. Doctors of BC has compiled information and resources below that will be useful to health providers who see youth patients. Health providers should also refer to the ‘youth’ and ‘family’ sections of this website to familiarise themselves with resources that could be recommended to youth patients and their families. A variety of toolkits designed to help increase healthcare providers’ awareness and understanding of the epidemiology, symptoms and identification of some common mental health conditions as well as provide examples of some recommended treatments. 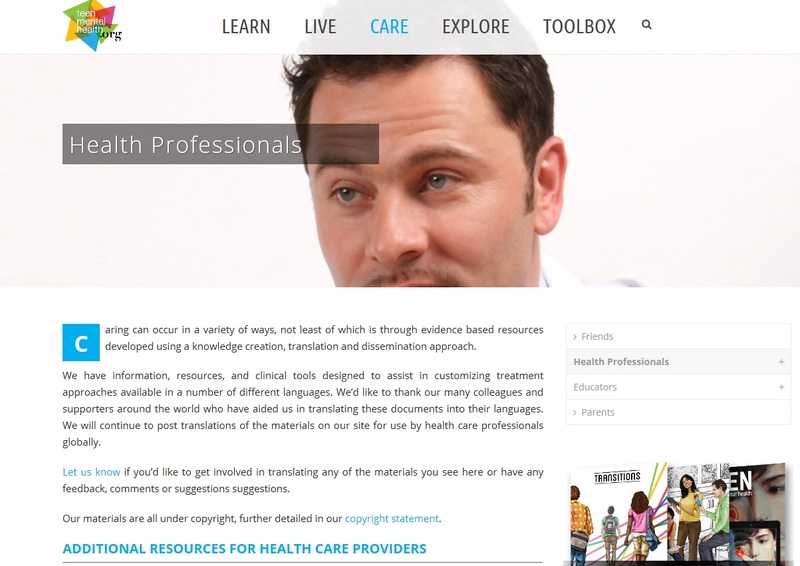 This online resource for physicians and other health care providers features 15 distinct modules including anxiety, depression, self-harm, OCD, psychotic disorders, sleep disorders, addictive disorders and more. This online map of B.C. youth mental health and substance use services provides information on services that are provided directly through the Ministry of Children and Family Development (MCFD), health authorities and community agencies. Umind is an on-line repository of free practical resources for child and youth mental health students and professionals. In addition to providing practical tools, tipsheets, and guides, Umind also provides webinars on topics pertaining to mental health in children and youth. Provides a list of publicly-funded health, mental health, and addiction treatment programs accessible to British Columbians, including the organizations providing the programs and the sites where they are offered. Inpatient and outpatient programs and services provided by BC Mental Health & Substance Use Services (BCMHSUS) by referral only. Information, resources and clinical tools designed to assist in customizing treatment approaches. Available in a number of different languages. Offers support groups, scholarships, a summer camp program, and the Woodstone Residence, Canada’s first residential treatment centre for adolescents specializing in the care and treatment of eating disorders. Explains causes and risks of various eating disorders as well as treatment options and the recovery process. Northern Health's programs deliver high quality services in the North, aimed to restore, promote, and maintain well-being. Offers a wide range of mental health and substance use services, including short-term assessment and treatment, long-term programs for those with a serious and persistent mental illness, seniors’ mental health services as well as substance use prevention and treatment services. Information on services for individuals suffering from mental health or substance use issues. Information on services and resources available for those suffering from a mental illness. Community and hospital-based mental health services and programs available to individuals in the Fraser Health communities. Fetch is an online resource developed by various Divisions of Family Practice to help patients and health care providers find information on social and health resources within their own community. Resources include counseling, crisis intervention, employment assistance, and agencies that provide support for various medical conditions. Provides access to resources to support culturally safe and competent mental health care for Canada's diverse population. 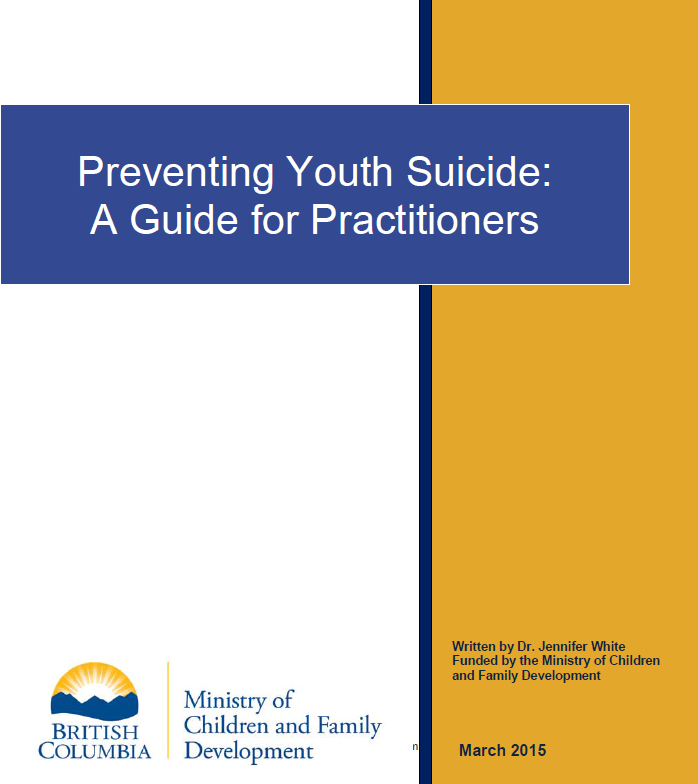 The purpose of this guide is to provide practitioners with high-quality, up-to-date information on the topic of youth suicide prevention. i "Self-Portrait" by Alishba Bilal. I’ve painted this portrait of myself and the pieces are scrambled. This painting shows the reality of people; they all look happy from the outside, but the pieces can be jumbled up inside and many of us are uncomfortable sharing the jumbled pieces with our friends and families. This painting also shows that perfection does not exist, but beauty does exist in everything and everyone, no matter how jumbled up the pieces are.